Whether he’s Surfing the Net or Shredding on His Board, a young man needs the power and energy that only a high quality, high potency supplement can provide. 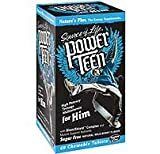 Armed with an explosion of Wild Berry flavor, Power Teen for Him is the ultimate young men’s high potency multivitamin supplement. Amino Acids and Zinc/ Magnesium/ Aspartic Acid Complex promote superior muscular growth, strength and endurance. Meanwhile, BlemiShield’s cranberry extract and probiotics (K12 and M18) support natural defenses for a healthier, clearer complexion, while protecting the inner ear, teeth and gums. 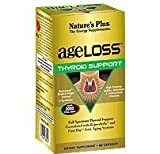 Description Nutritional Support for Protection of Cells from Oxidative Stress, Healthy Thyroid Function ?, Energy-Yielding Metabolism ? & Healthy Immune Function ? Selenium and vitamins C and E contribute to protection of cells from oxidative stress. ? Iodine contributes to normal production of thyroid hormones and normal thyroid function. Selenium contributes to normal thyroid function. Iodine and vitamin C contribute to normal energyyielding metabolism. Selenium and vitamins A and C contribute to normal function of the immune system. Ingredient List Ingredients: L-tyrosine, hops, vegetable cellulose, Rejuvabolic? Antioxidant Blend, ascorbic acid, First Day? Nutrient Blend, bulking agent (microcrystalline cellulose), beta carotene, d-alpha tocopheryl acid succinate, lubricant (magnesium stearate), annatto (Bixa orellana )?, amla extract?, rice protein?, selenomethionine, mustard (Brassica nigra )?, potassium iodide and purified water. ?Organic Product Use As a food supplement for adults, take 2 capsules once daily. If you are pregnant or nursing or are taking any medications, consult your health care practitioner before using any herbal product. Do not exceed recommended serving. Not a substitute for a varied diet. Cautions KEEP OUT OF SIGHT AND REACH OF CHILDREN. Need more Information?If you need more information about this product just ask Dr. Lifestyle for some personalised advice.